Good day and thank you for your interest in The Manual of Policies and Procedures for Direct Primary Care. A portion of these policies and procedures have followed me from my original, solo and independent fee-for-service family practice. I started the old practice in 2003. I transitioned Green Hills Family Health Care to Green Hills Direct Family Care, a Direct Primary Care family practice, on January 4, 2016. This transition forced me to review my office’s policies and procedures manual. I had to modify some of my existing policies to adjust to the new workflow during my annual internal compliance audit. As a result of this long and involved process, I realized that even with over 14 years of experience in running my own practice, office compliance and the need for policies and procedures could be one of the biggest hurdles to a physician considering opening a Direct Primary Care office. There is a promising future for DPC regardless of what happens with healthcare reform in Washington DC. It needs to be easier for doctors to choose this model. Therefore, I decided to publish what I have. These policies and procedures may not apply to every office. I may even be missing a few. But, the majority of the policies are in compliance with office Best Practices. They can provide structure to streamline office logistics and work flow while maintaining quality and consistency as a Direct Primary Care office grows. They are in WORD format and can be downloaded and edited as needed. Additionally, the HIPAA, OSHA, and employee law policies and procedures were obtained through paid contracting with certified and licensed experts in those areas of compliance. These will apply to and be tremendously helpful to all practices. The HIPAA and OSHA manuals are uploaded into this manual in their entirety. I will be able to update and modify the content of this manual if needed as changes or new recommendations may occur. My hope is that this manual helps doctors choosing to open a Direct Primary Care office worry less about policy and procedure and instead spend more precious hours on patient care, grow their practices and provide extra time to enjoy the hours spent outside of the office. 1. Anything in blue font is an introductory description of the corresponding chapter. 2. Anything in red font are policies and procedures obtained via outside consultants and is either a large file uploaded as one policy or is listed as an individual policy. 3. Anything in green font is an introductory description of the corresponding subsection in the HIPAA Chapter. 4. Some of the documents will have my logo on them as an example of how I customize the content. This is easily edited so a new logo may be added to the doc and mine removed altogether. Some may chose not to use a logo on the doc at all; this is the beauty of this manual, all documents can be customized. 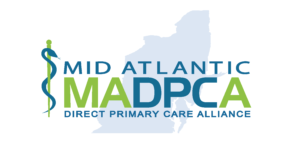 Thank you and best wishes for great success in your Direct Primary Care practice!